I've been telling people for years that I would vote for J.C. Watts for President in a heart beat. 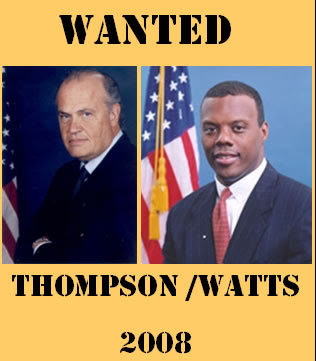 Now there's talk of a Thompson / Watts ticket. This is as close to a dream ticket as we could have this go 'round.